According to a bilateral exchange agreement signed between <?xml:namespace prefix = st1 ns = "urn:schemas-microsoft-com:office:smarttags" />Chinese Academy of Sciences and Indian Academy of Sciences, Prof. Dr. Sellamath, Head of Department of Botany, Bharathiar University, India made a courteous visit to XTBG on invitation during September 4 – 19. Academic exchanges have been carried out between him and some XTBG scientific personnel. Prof. Dr. S. Manian is specialized in Bioinformatics. He is also much interested in plant ecology, medicinal plants, and plant pathology. His visit was aimed at seeking possibilities for cooperative studies with XTBG. He looked around the scientific facilities as the Seed Bank and Laboratories, the ex situ conservation area for rare and endangered plants,living plant collections, the herbarium and field monitoring stations. He made a field trip to the Nature Reserve in Mengla County,too. During his stay at XTBG, Prof. Dr. S.Manian delivered a series of lectures to XTBG scientific personnel and postgraduate students. 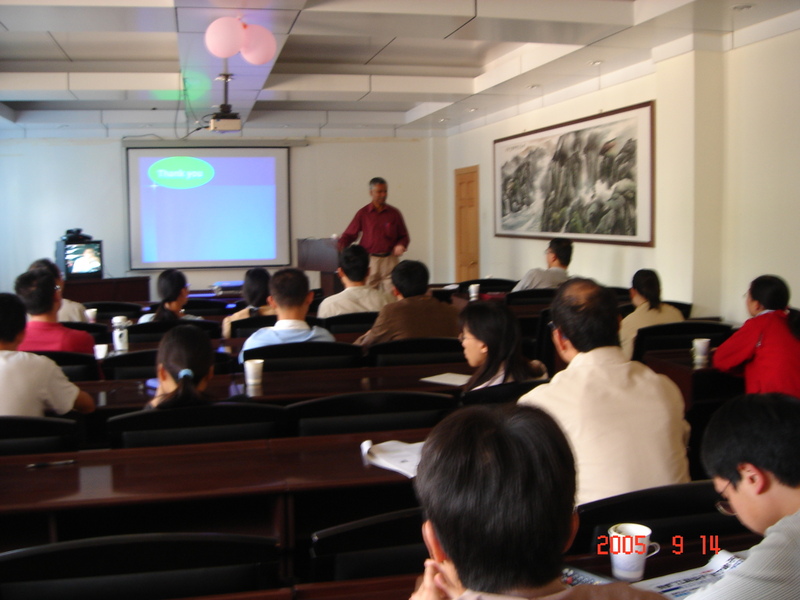 At a meeting held at XTBG Kunming division on Sep.14th, which was presided over by Prof. Cao Min, Prof. Dr. S.Manian made some exchanges with some concerned research groups.Collaboration intents have been brought forward for future studies in plant ecology and medicinal plants. Prof. Dr. S. Manian expressed that he hoped cooperation agreement would be signed between the two sides as soon as possible after his immediate report on this visit to president of Bharathiar University,India.